Caption slip reads: "Photographer: Miller. Date: 04-03. Reporter: Brown. Assignment: Handicapped girl wants mail. 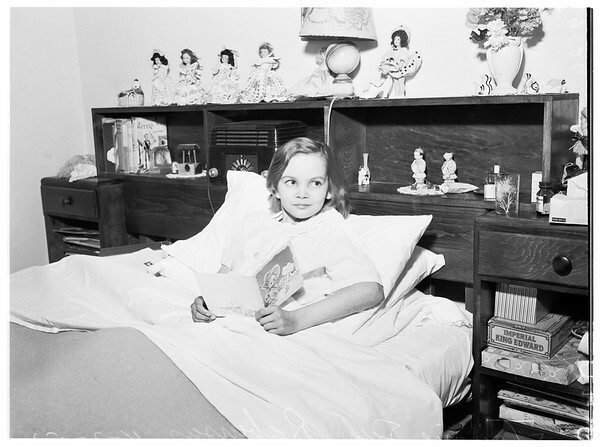 45/46: Jennie Sue Robinson, 13, looks up from card sent by friend, Jennie, of 1208 Peck Street, Compton, suffers from aplastic anemia, disease requiring periodic transfusion".